Situated on desired Delancey Place in Fitler Square this 14 room residence boasts sun flooded and immaculately proportioned rooms throughout. An extremely desirable and versatile floor plan further distinguishes this classically restored townhouse with the present owners insistence on fine quality. Accessed via a vestibule, the grand living room has large windows overlooking the picturesque townhouses to the south and filters into an impressive dining room. The living room includes a gas burning fireplace, high ceilings and lovely details. A powder room and coat closet are conveniently located just off of the living room. Beyond this is a wonderfully large custom white marble kitchen with state of the art appliances and a cheery breakfast area that leads out to the secure parking and side patio. Upstairs there is a detailed entertaining room/library with wet bar and gas fireplace. The private master quarters is comprised of a marvelous master bedroom suite, en suite bath, a dressing room and great closets. There are also 3 generously sized additional bedrooms with bathrooms and tons of closet space. The roof deck features custom lighting and superior city views. The finished lower level may be your at home gym, play room or media space. All floors are accessed by an elevator. High ceilings and stellar architectural details are all part of the residence~s elegant appeal. 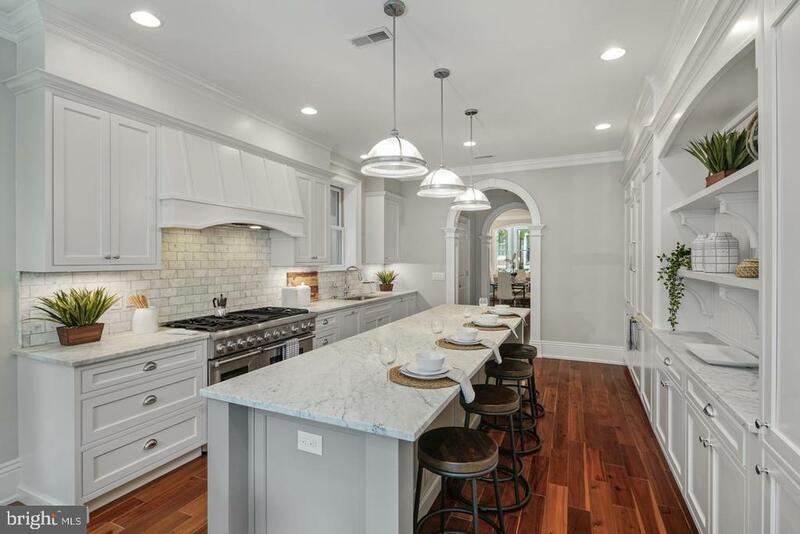 This exceptional townhouse provides a perfect setting for elegant entertaining and comfortable living in a superb building just feet from Fitler Square park.